The youth space design was developed with the youth themselves, who we mentored and tutored, to understand how to create good design. The bold twisted form expresses the dynamic uses within the building. The Parkour Studio, located on the top floor, overlooks the centre of Luton allowing the fluid movement of free-running to be connected with the vibrant town centre. 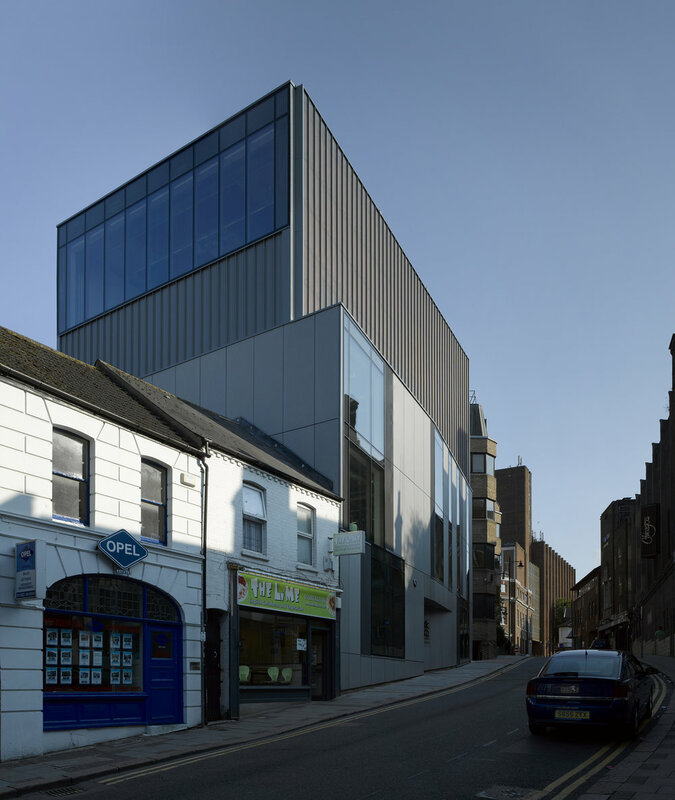 Set within a conservation area the building dramatically rises above its context. The form of the twisted two boxes emphasises the entrance and reflects the functions within. The design was developed with the youth themselves who we mentored and tutored to understand the architectural drivers that form good design. This open and fluid design process was recognised by Design Council CABE as an exemplar experience in stakeholder engagement. The Centre is built with exposed finishes, and a minimal palette of materials. Exposed concrete allows the mass of the building to provide its own night time cooling.